There are many sporting activities that travellers can get involved in when they head to the brilliant holiday destination of Ocean City. Found in the US state of Maryland this amazing vacation spot is firstly famous for its fishing as well as its first-class golf courses. There are 17 championship courses available in this part of the world, which have been designed by famous players of the game. The courses are created to cater for travellers with all types of golfing skills and they will also enjoy the incredible views on offer to them in this resort town. This fantastic destination is found in nearby Berlin and provides a stunning venue to play and marvel at the scenery. Found minutes away from Ocean City this course overlooks the tranquil Sinepuxent Bay and the magnificent seashore of Assateague Island. The venue has 18 holes and includes a pro shop, eateries and the chance to rent golf equipment. Driving around this gorgeous area is also a superb way to discover this beautiful part of Maryland. This amazing venue is a 36-hole championship golf course that is again only a few minutes away from Ocean City in Berlin. The brilliant Man O’ War course features large greens, pot bunkers and sand dunes. The War Admiral course is routed through glorious, mature forest offering a wonderfully unique experience. There are fantastic views at this outstanding golf venue that will mesmerise players during their games, and encourage them to return again. This brilliant venue has the Newport Bay Course and Seaside Course featuring 36 holes of championship golf. There is stunning marsh and bay scenery available from the courses and this popular destination is considered to be one of the finest golfing places in the area. The club provides the best in traditional and contemporary courses, making this a great place for both beginner and advanced players. There are many fantastic Ocean City boardwalk hotels found near these courses that are worth booking into for a relaxing vacation. The Grand Hotel Ocean City is a stunning accommodation to visit that has modern rooms with a range of amenities including a large television, coffee maker and free Wi-Fi internet. The residence is found near the famous boardwalk and is ideal for both business and leisure travellers. Working tourists will appreciate the large meeting rooms, as well as the brilliant eateries that are perfect for a business lunch or dinner. There is a lovely fitness centre and Aqua Day Spa at this accommodation that offers a range of therapies. Travellers will adore staying here as they will be made to feel right at home through the excellent staff members. This magnificent course was designed by golfing legend Gary Player and it really takes into consideration the beautiful surrounding landscape. The front has a Scottish links look about it, while the back part is created with tall pines to truly test a golfer. 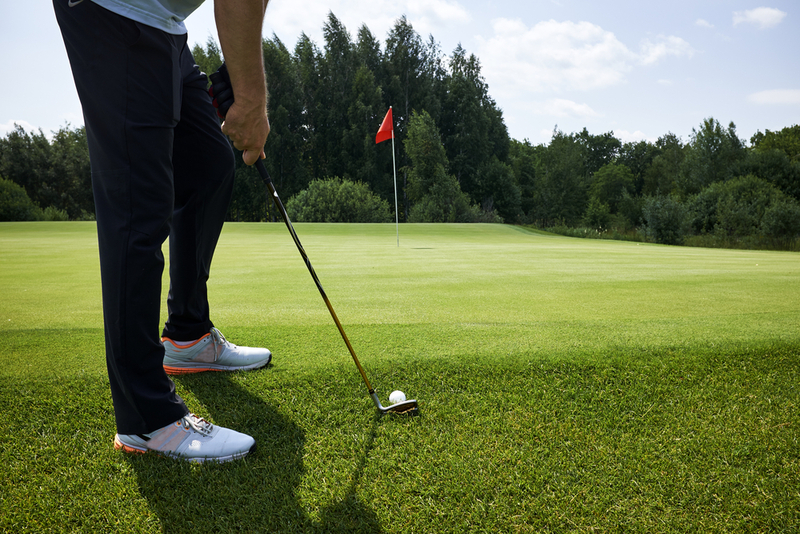 The 18-hole course is based in Berlin and is plenty of fun for beginners and advanced players. The scenery around the course is fantastic and allows travellers to have a relaxing time when they visit the area.